The Department of Trade and Industry informed the Committees that the Department was the custodian of the Consumer Protection Act, 2008. In November 2017 the Minister of Health had announced that South Africa was experiencing a Listeriosis outbreak caused by bacteria called Listeria monocytogenes. A multi-departmental Task Team was formed in December 2017 and included the National Institute for Communicable Diseases and the National Consumer Commission. The Task Team agreed that investigations should be conducted to determine the source of the Listeriosis. The Minister of Health had announced on 4 March 2018 that the source of Listeriosis ST6 strain had been found in three products from Tiger Brands and that a different strain was found in one product from Rainbow Chickens. On 15 March 2018, the Minister of Health held an extraordinary SADC Health Ministers strategic meeting on Listeriosis preparedness and response in Kempton Park, South Africa. South Africa exported sausages and similar products to more than 10 countries. The value of the now-banned exports was $8 347million. In addition, $17 million of prepared or preserved meat exports had been banned. Rwanda had also stopped importing fruit and vegetables from South Africa since the source of Listeriosis was unknown at the time. The main role of the Commission in the Task Team had been to ensure that consumer protection was also factored in the measures taken. Following confirmation of specific products having tested positively for Listeriosis, the Commission had initiated a product recall for the products identified by the NICD, which were supplied by two entities, namely, Tiger Brands and Rainbow Chicken Ltd Foods. 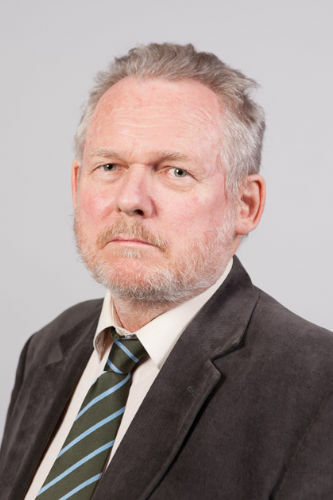 Minister Rob Davies, Trade and Industry, informed the Committees that the recall notice of affected products was undertaken immediately once the test results were known to the Minister of Health. Two factories, one in Limpopo and the other in Mpumalanga, were closed down immediately when it was identified that the affected products had come from those factories. The problem that government had was that the common thread of the factories had not yet been discovered. Also, the source of the Listeria was unclear. Minister Senzeni Zokwana, Agriculture, Forestry and Fisheries said the government had decided to make a blanket recall of all RCL Foods and Tiger Brands products, regardless of whether the factory was in Limpopo or Mpumalanga or not. After the recall the three Departments had held a meeting with the two companies to ensure that products from their factories were not sold in any supermarket in the country. The role and responsibilities of environmental scientists was being reviewed to determine where they would be useful during the outbreak. The Department of Health stated that as of 23 March 2018 a total of 995 laboratory-confirmed cases had been reported from all nine provinces. 749 cases had been reported in 2017 and 246 cases were reported in 2018. The Department of Agriculture, Forestry and Fisheries added that the majority of the cases reported were from Gauteng (59%), followed by Western Cape (12%) and KwaZulu-Natal (7%). Inter-departmental Food Control Committees, which included the South African Police Service Stock Theft operated in every province. They conducted joint inspections of food premises, combatted illegal slaughtering and undertook road blocks to search food delivery vehicles for compliance. The Agricultural Research Council stated that Listeriosis ranked amongst the deadliest foodborne diseases worldwide due to the fatality rates of 25-30% and hospitalisation rate of no less than 95%. Socio-economic implications were high due to the food recalls, litigations, hospitalisation and deaths which amounted to a huge burden on the nation. The current outbreak had cost Tiger Brands an estimated R350 million in food recalls and economic losses for SA due to the banned exports. Members expressed concern at the outbreak and asked that each sector provide a full briefing. One Member noted that the first research conducted by ARC on Listeriosis had taken place in 2014, but there had not been sufficient early implementation to prevent the spread of the disease. What measures were the Departments and the agencies going to implement to manage the outbreak? Would the families that had been affected with Listeriosis receive any financial assistance? Was the Department of Trade and Industry going to assist the 20 000 unemployed factory workers? Members expressed concern that the blanket approach to controlling the outbreak seemed to be doing more damage than good. What had caused the outbreak, and what were the government officials doing to ensure that the disease did not do further damage? Were other countries experiencing an outbreak? Was the public being informed about the developments, and ways in which people could protect themselves from being infected with the disease? The Chairperson said that the Departments would be invited to present a progress report and feedback on the management of the outbreak, and the implementation of the strategies of the Task Team. 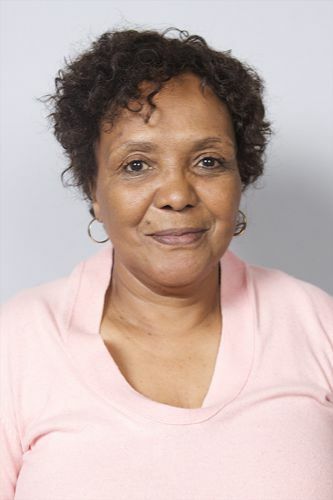 Ms Evelyn Masotja, Deputy Director-General: Consumer and Corporate Regulations Division, said in November 2017 the Minister of Health had announced that South Africa was experiencing a Listeriosis outbreak caused by bacteria called Listeria monocytogenes. A Task Team was formed in December 2017, comprising of the Department of Agriculture, Forestry and Fisheries (DAFF), Department of Trade and Industry (dti), Department of Health (DoH), National Institute for Communicable Diseases (NICD) and the National Consumer Commission (NCC). The Task Team agreed that investigations should be conducted to determine the source of the Listeriosis. The dti was the custodian of the Consumer Protection Act, 2008. The Minister of Health announced on 4 March 2018 that the source of Listeriosis ST6 strain had been found in three products from Tiger Brands and that a different strain was found in one product from Rainbow Chicken. The NCC called Tiger Brands and Rainbow Chicken to inform them about the product recall in relation to the contaminated product and notices were sent to them. On 15 March 2018, the Minister of Health held an extraordinary SADC Health Ministers strategic meeting on Listeriosis preparedness and response in Kempton Park, South Africa. In collaboration with other departments, the dti was conducting investigations to uncover other forms of Listeriosis cases. It was possible that class actions might be lodged against the responsible companies. The dti and other departments would embark on education awareness campaigns in the next financial year to enhance consumer awareness. Ms Niki Kruger, Chief Director: Trade and Economic Development, said the World Trade Organisation (WTO) Sanitary and Phytosanitary (SPS) Agreement allowed other countries to stop SA exports in order to protect human, animal and plant life or health. The WTO SPS Committee had to be notified by the importing country measures to stop exports. Sausages and similar products were exported to more than 10 countries, with Mozambique, Lesotho, Namibia, Botswana and Swaziland being the top five. The value of exports of the banned sausages and similar products was $8 347million. In addition, $17 million of prepared or preserved meat exports had been banned. Rwanda had also stopped exports of fruit and vegetables from South Africa since the source of Listeriosis was unknown at the time. Mr Ebrahim Mohamed, Commissioner: NCC, said the NCC received its mandate on food and safety and inspection from the Consumer Protection Act. The Commission represent the dti in a national Task Team that had been meeting weekly since the outbreak. The purpose of the Task Team was to share information and develop strategies to deal with the outbreak. The main role of the Commission in the Task Team had been to ensure that consumer protection was also factored in the measures taken. Following confirmation of specific products having tested positively for Listeriosis, the Commission had initiated a product recall for the products identified by the NICD, which were supplied by two entities, namely, Tiger Brands and Rainbow Chicken Ltd Foods. The Chairperson advised the speaker to conclude his presentation due to time constraints. Ms S Kopane (DA) said it was unfair that speakers were being rushed. She said the Listeriosis outbreak was an important matter that needed to be given as much time as possible. Those who were pressed for time could leave when they needed to. Mr Mohamed continued, saying the products that were identified for recall in the notification issued to Tiger Brands were Enterprise polony, smoked Russians and frankfurters. It was agreed that the recall would also include all ready-to-eat meat products produced by Enterprise foods. Tiger Brands provided the NCC with a recall notification as well as draft copies of all related strategies on Tuesday, 6 March 2018. The entity also undertook to continuously conduct testing at their manufacturing plants. The product identified for recall in the notification issued to RCL Foods was the Rainbow Chicken polony. RCL Foods had provided the NCC with a completed recall notification as well as draft copies of all related strategies. Other recalls were from Shoprite and Woolworths regarding their ready-to-eat products. Mr Edward Mamadise, Chief Executive Officer: National Regulator for Compulsory Specifications, said NRCS was responsible for the administration of the National Regulator for Compulsory Specifications Act, 2008. The NRCS regulated canned meat products and the processing facilities of canned meat products which were inspected bi-annually. There was a difference between processing methods and packaging and canned meat products, which was why canned meat products were not affected by the current Listeriosis outbreak. Processed meat products were only subjected to a pasteurisation process and had to be stored and transported under refrigerated conditions to preserve the products and therefore had a limited shelf-life. Although the products affected by the Listeriosis outbreak were not regulated by the NRCS. fishery ready-to-eat products were regulated by the NRCS. Those products were tested microbiologically for Listeria and when the outbreak occurred the frequency of testing was increased. Mr Rob Davies, Minister of Trade and Industry, added that the recall notice of affected products was undertaken immediately once the test results were known to the Minister of Health. Two factories, one in Limpopo and the other in Mpumalanga, were closed down immediately when it was identified that the affected products had come from those factories. The problem that government had was that the common thread of the factories had not yet been discovered. Also, the source of the Listeria was unclear, and as a result, Rwanda was forced to include all products grown in soil in their list of banned exports from SA. Mr Senzeni Zokwana, Minister of Agriculture, Forestry and Fisheries, said the government had decided to make a blanket recall of all RCL Foods and Tiger Brands products, regardless of whether the factory was in Limpopo or Mpumalanga or not. After the recall the three Departments had held a meeting with the two companies to ensure that products from their factories were not sold in any supermarket in the country. Also, the role and responsibilities of environmental scientists was being reviewed to determine where they would be useful during the outbreak. Ms Jeanette Hunter, Deputy Director-General: Primary Health Care, stated that as of 23 March 2018 a total of 995 laboratory-confirmed cases had been reported from all nine provinces. 749 cases had been reported in 2017 and 246 cases were reported in 2018. Amongst the three Departments, a Public Health Emergency Committee for Listeriosis was formed to oversee and monitor the response. The Committee’s function was to ensure strategic co-ordination and management of all health threats, natural or man-made disasters, that might have a negative impact on the health care system in SA. 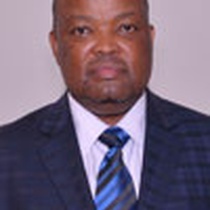 Dr Botihle Modisane, Chief Director: Animal Production and Health, said that there were Food Control Committees in every province consisting of provincial Departments of DAFF, Health, Municipal Health Services and the South African Police Service Stock Theft Unit. Those Committees conducted joint inspections of food premises, combatted illegal slaughtering and undertook road blocks to search food delivery vehicles for compliance. As of March 2018, 995 cases of Listeriosis had been reported. The majority of the cases reported were from Gauteng (59%), followed by Western Cape (12%) and KwaZulu-Natal (7%). Following an incidence of children falling ill in Soweto from eating bread with polony and margarine, a joint team of DAFF, DoH, Polokwane Municipality and NICD officials had visited Enterprise Foods in Polokwane on 2 February 2018. Samples were collected. RCL Foods was visited on 14 February 2018 and samples were also collected. The samples were sent to a South African National Accreditation System accredited private laboratory, where the samples tested positive for L. monocytogenes ST6. Both RCL Foods and Tiger Brands were registered with DAFF for export purposes. DAFF immediately suspended exports and informed trading partners of the outbreak and the steps which DAFF had taken to ensure that the affected products did not enter their markets. 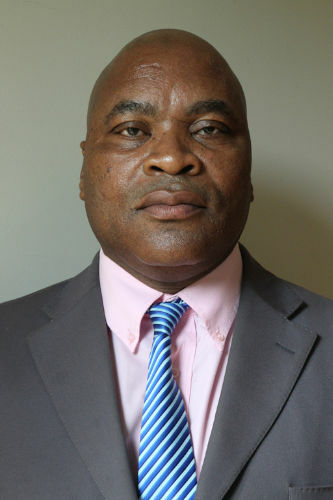 Mr Mthuthuzeli Magadlela, Group Executive: Animal Sciences; ARC, said Listeriosis ranked amongst the deadliest foodborne diseases worldwide due to the fatality rates of 25-30% and hospitalisation rates of no less than 95%. Socio-economic implications were high due to the food recalls, litigations, hospitalisation and deaths which amounted to a huge burden on the nation. The current outbreak had cost Tiger Brands an estimated R350 million in food recalls and economic losses for SA due to the banned exports. At the time of the outbreak ARC assisted the government by sending 77 isolates to NICD for whole genome sequencing, and it provided the DoH and NICD with metadata for the total number of samples that were tested. When the outbreak occurred, ARC was the only institution that had metadata and isolates of Listeria monocytogenes. The isolates and metadata would help the NICD make accurate diagnosis of the L. monocytogenes strain or strains responsible for the outbreak. Mr Zokwana added that Listeriosis was found in all foods. However, pork was not on the list of products that needed to be recalled because food that was heated/cooked before it was consumed was less likely to contain a high percentage of Listeria. Mr P Maloyi (ANC) asked why RCL Foods and Tiger Brands were not part of the Task Team. He said the first research that had been conducted by ARC on Listeriosis had taken place in 2014, but there had not been sufficient early implementation to prevent the spread of the disease. The early research was also not met with decision-making by the Health Department and agencies like ARC and NICD. He asked if the ports in SA had sufficient capacity to deal with the number of imports, and whether it was possible that the source of Listeriosis was from the imports. 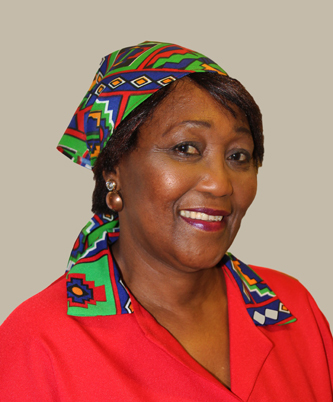 Ms C Ndaba (ANC) said the NICD had told the Portfolio Committee on Health that they had discovered Listeriosis. She said it was important that the DoH and ARC work together because it was imperative that politicians take the research conducted by the scientists seriously if they wanted to manage the outbreak. Ms A Steyn (DA) asked what measures the Departments and the agencies were going to implement to manage the outbreak. The closure of the two factories would not help to manage the outbreak. She asked who would be responsible for testing the food to determine what the common cause was, and which laboratories the government would make use of, because it would be expensive. There was widespread illegal slaughtering of animals, and the meat was sold to people without any testing of the food. Who would be in charge of controlling illegal slaughtering houses? She was not convinced that imports were being tested. She asked which imports were being tested, how many batches had been tested thus far and what were the interim standards for the level of Listeria found in the food. Mr W Maphanga (ANC) said the families that had been affected with Listeriosis had not received any financial assistance. He asked if the families affected would be compensated. Mr A Madella (ANC) asked if the dti had considered starting a salary initiative for the employees who were working for the two factories that had closed down. Mr G Cachalia (DA) said Listeriosis was not a new disease, although the outbreak was something new for SA. He asked what measures the government, and its agencies, had taken thus far to control the outbreak and what steps the Task Team had taken since it was formed. The blanket approach to controlling the outbreak seemed to be doing more damage than good, because an estimate of 20 000 jobs had been lost since the factories were closed down. Mr D MacPherson (DA) said Mr Mamadise should approach the Portfolio Committee on Trade and Industry regarding the protocols on processed meats, which came down to an issue of levies. The levies were rejected because the levy was put on the products according to the weight per kilogram. The weighting for processed meats was 60c per kilogram, compared to canned meat, which was 10c per kilogram. The difference in weight for testing the products was uncommon because at the end of the day the dti allowed the industry to regulate itself. There was a stagnant approach in finding out where the source of the disease came from. Ms Kopane said Listeriosis was not a notifiable disease in Brazil. She was concerned that there were not enough health practitioners in local government to assists with the outbreak. A number of municipalities did not have the funds to hire health practitioners. Mr N Capa (ANC) said if Listeria was a common bacterium, which had been around for a long time, what had caused the outbreak, and what were the government officials doing to ensure that the disease did not do further damage? He asked if there were other countries that were experiencing an outbreak. He was concerned that the public was not being informed about the developments, and ways in which people could protect themselves from being infected with the disease. Ms E Wilson (DA) said an amendment of notifiable diseases had been enacted in 2017. However, the outbreak of Listeriosis had started in 2016. The Department was slow in reacting to the outbreak because the DoH only started taking the disease seriously in July 2017. The government had also failed to communicate to the public that the disease was not found in the meat. The Economic Freedom Fighters (EFF) had marched to every supermarket in the country and cleared the shelves of the infected products and disposed of the products in dumping sites and on the streets where people could access the food and eat it. She asked what was going to happen to those people who ate the products that were carelessly dumped in open areas. Ms M Dunjwa (ANC) said it was not the DoH’s responsibility to test the source of the disease. There were qualified doctors and scientists who were responsible for testing diseases. She commended the DoH for immediately making the disease notifiable. She made it clear that Listeriosis was a curable disease. However, when an immune system was compromised, the body became vulnerable to all kinds of diseases. The ABC’s for keeping food safe from contamination should be communicated to the public. Dr S Thembekwayo (EFF) said that the Departments should host education and awareness programmes to inform the public about the disease. She also said the information should be communicated to schools. The Chairperson asked how far the Task Team was with the implementation of its tasks. Although the Constitution authorised that disease outbreaks should be delegated to municipalities, the municipalities did not have the capacity to manage the outbreaks. She asked for the Departments to comment on whether it was not advisable for the matter to be taken to the Law Reform Commission for the outbreak to be delegated to DoH. Minister Davies said the warning that the three Departments had received was that there was an abnormal level of Listeriosis in the products. Whether it was in the food packaging or the food itself was not communicated to the Departments. The two factories that had closed down, and others which had been identified as being possible threats, would have to go through rehabilitation before they could start with normal production. The dti was in the process of planning a summit where all stakeholders, and the public, would be invited to communicate developments and any other necessary information to help manage the disease. Minister Zokwana added that one of the focus areas identified by the Departments and stakeholders was ensuring that ports had enough capacity to test imports. As such, an agreement had been reached that AU standards should be adopted as an interim solution. The stakeholders had raised the concern that contamination could also happen after products had left the factory. Therefore, testing should be done at all stages. Ms Hunter stated that in 2017 the dti, DoH and DAFF had invited international experts to test SA’s readiness to manage the outbreak. The three Departments, as well their entities, had been hosting meetings on an on-going basis to share any new information that might have an effect on the outbreak. The Departments had collaborated with local radio stations to communicate information to the public in all home languages. 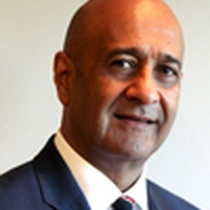 Mr Mamadise stated there was no certainty that ports had enough capacity, because it was not common for imports and exports to be tested on a regular basis. The level of Listeria in food increased faster in foods that had reached their expiry dates. The public should be cautious not to eat food that had expired. He added that the determination of levies entailed that a socio-economic impact assessment should be conducted to help determine what the levy would be. Hence, there was a disproportion between canned meat and processed meat. Mr Magadlela explained the ARC’s research and surveillance efforts were meant to inform policy, as well the monitoring and regulatory work that was done by DAFF. Listeria was a common bacterium; however, it was the quantity of the disease that should be managed. Compared to the chicken that was imported from Brazil and Argentina, the level of Listeria in chicken imported from the Netherlands, Denmark and Germany was much higher. Mr Mohamed stated in reply that the recall notices were communicated to companies and the public on 4 March 2018. Ms Steyn said the rehabilitation of factories was a standard procedure, however there needed to be standards for determining the level at which rehabilitation had to take place. The Rainbow Chicken and Tiger Brands exports should start being tested at the ports. She asked if the products were tested before the outbreak had happened. Ms Wilson asked for the Departments to respond to the allegations that Listeria had been found on the packaging, and not inside the products itself. She suggested that an independent company should be hired to test the quantity of Listeria. In that way, implementation of tasks would be done at a much faster pace. Ms Kopane said that RCL Foods and Tiger Brands claimed that they had not received the test results indicating that their products had Listeriosis. Mr Mohamed replied that RCL Foods had been given the test results on 5 March 2018. Minister Zokwana replied that the cleaning standard was 0%. Mr Davies responded to the question about the tasks of the Task Team. One task was to establish a standard for all foods that will be exported and imported. However, it is not common for exports to be tested. The departmental agencies had a mandate to deal with urgent matters such as an outbreak. He was not certain what was meant by an independent body. The agencies that have been tasked to deal with the outbreak and testing of the disease had professional employees with the necessary skills. Ms Hunter replied saying the ST6 was found in polony when the products were tested. Mr Mooketsa Ramasodi, Acting Director-General: DAFF, said that in terms of co-ordination, the DoH was the central department responsible for the outbreak. DAFF and dti, as well as their agencies, were offering assistance.